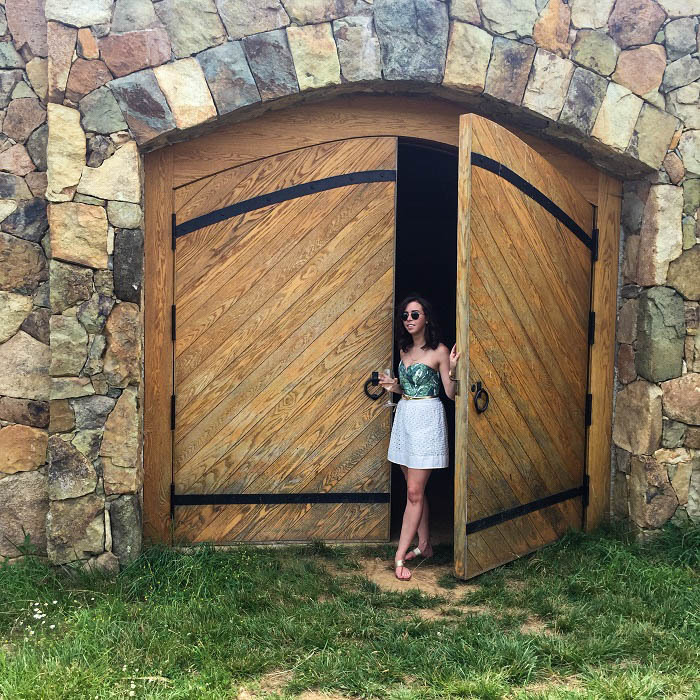 Stone Tower Winery in Leesburg, Virginia for my roommate/besties birthday. the wine was excellent, and the company was perfection. 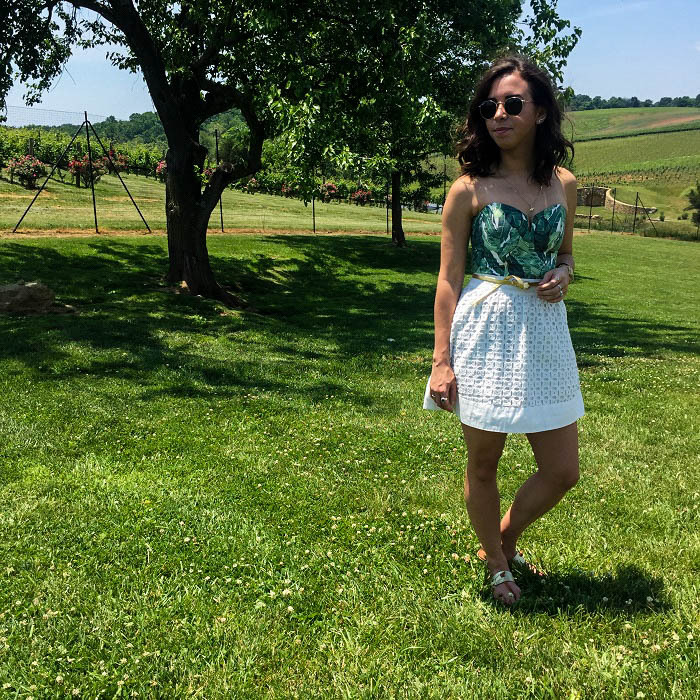 I had never been to Stone Tower before so I was super excited to capture all the fun, the beauty of the scenery (I had only heard amazing things about the winery), and of course my outfit. Unfortunately for me, I forgot to put my SD card back into my camera so I was only able to snag pictures with my phone. 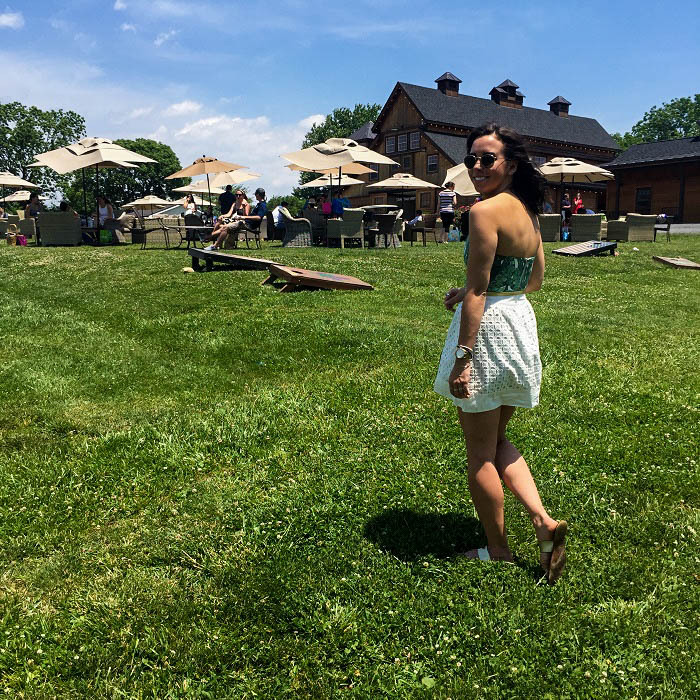 I didn’t take as many scenery pictures as I had wanted and the quality wasn’t up to what I really wanted them so stay tuned for another post from this fabulous winery with more pictures of the decor and views. This romper is a favorite of mine. I don’t wear it often because it is so memorable and I don't want people to think I live in it...well even if they did I don’t think I would mind too much. Knowing I would be outside all day in June I knew pants were not an option. will swoop in and give people a bit of a show. So I came up with pairing my romper with an eyelet skirt to avoid any wardrobe malfunctions. re-wearing this outfit a few times this summer. Can you believe I have never been to a winery?! They always look so dreamy, and this is no exception. Love your palm print. A winery run! Yes! So fun. :) And great idea layering the skirt over the romper- love this look! This is gorgeous! 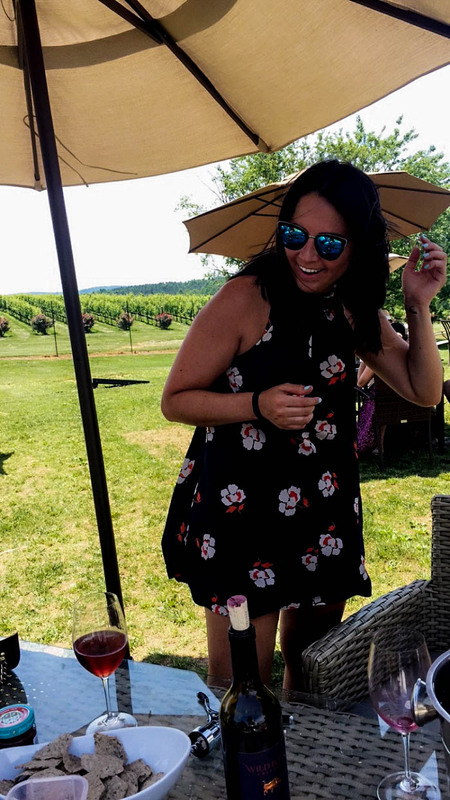 i also just went wine tasting this past weekend, so fun! 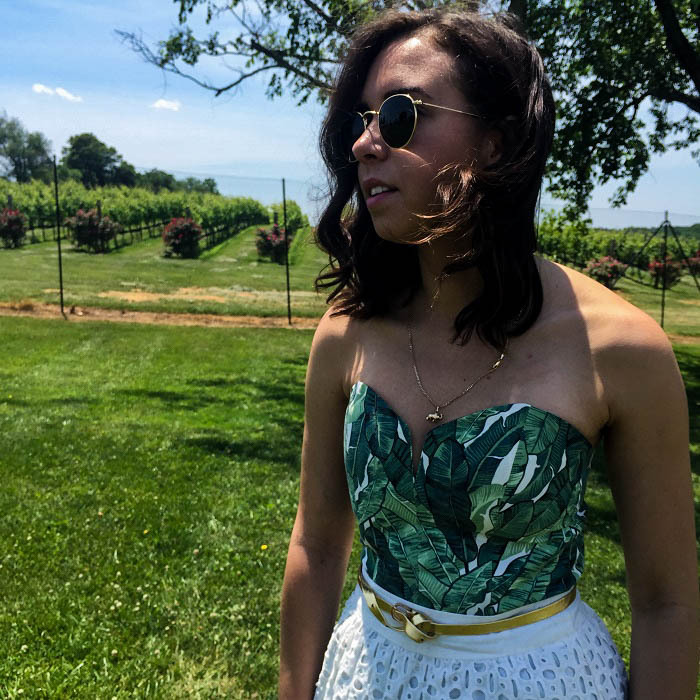 I've been to a winery once and it was so much fun, I love the outfit you chose to wear! love that print! so perfect for summer!